In 1970, shortly after graduating from Cranbrook Academy of Art, Stephen Frykholm joined Herman Miller as its first in-house graphic designer. The modern furniture company was established in 1923 by D.J. De Pree in Zeeland, Michigan, and has manufactured the designs of Cranbrook students and faculty, including Charles and Ray Eames and Eric Chan. Over the course of his forty-some year tenure at Herman Miller, Frykholm helped shape the visual identity of the iconic American company. In 2010, he received the AIGA Medal for excellence in graphic design, the field’s highest honor. Among Frykholm’s first assignments at Herman Miller was a poster for the company’s annual summer picnic. For this quick assignment Frykholm turned to screen printing, a simple process that he learned while working for the Peace Corps in Aba, Nigeria, at a government trade school. All fifty copies of Frykholm’s 1970 poster were screen-printed in a basement over the course of one night. Its theme of sweet corn was illustrated with co-worker Phil Mitchell’s assistance. Frykholm placed an ear of corn in his mouth, and Mitchell sketched. Frykholm loved the immediacy of screen printing, creating stencils, layering colors, and adding a glossy varnish to each print for a vibrant effect. A great success, the jubilant posters became an annual project for the next twenty years. Frykholm’s bold use of bright colors, dynamic compositions, and simplified forms harken back to the modern designs of the twentieth-century European object poster, but rendered in a timely Pop art idiom. The poster series translates a variety of popular potluck foods, magnifying and distilling each into its essential form. For the 1982 poster of a seven-layer salad, Frykholm diced its various ingredients and arranged them on a photocopier to better understand their shapes. For the 1983 edition, he scattered the letters of the poster’s title among an ice cream cone’s sprinkles. 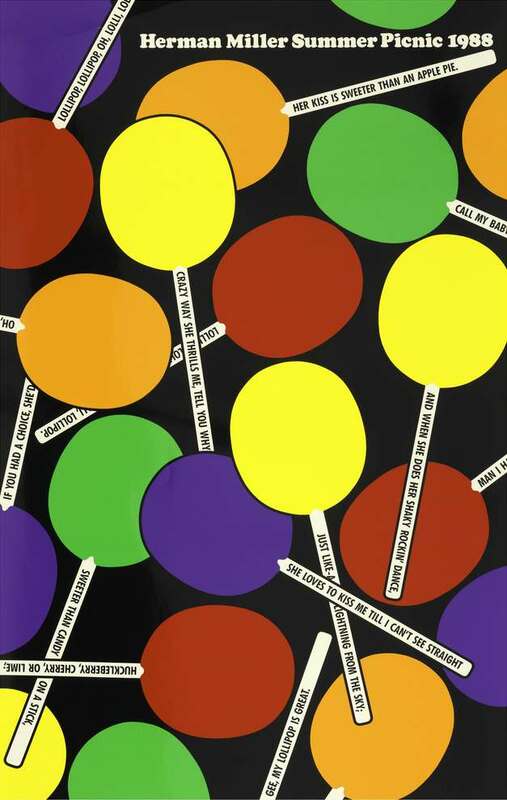 Frykholm’s playful approach is displayed again in his 1988 design, in which lollypop sticks contain the lyrics to Ben Kweller’s song Lollipop. Like the picnic itself, Stephen Frykholm’s posters are the essence of summer fun. Essence of Summer: Stephen Frykholm’s Picnic Posters for Herman Miller is organized by Cranbrook Art Museum and curated by Steffi Duarte, the Jeanne and Ralph Graham Collections Fellow. 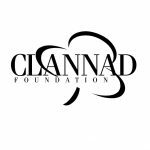 This exhibition is generously supported by the Clannad Foundation.